So did China actually follow through? The answer is yes. The new petroyuan futures contracts began trading the morning of Monday, March 26 in China, which was the evening of Sunday, March 25 in the U.S.
Up until this week, it was possible to believe that the petroyuan would never come to fruition. Or, if it did, that it would not gain traction with other countries. But it’s obvious from the initial trading activity that there is actually quite a lot of demand for the petroyuan. This shouldn’t be too surprising. After all, Russia and China have already bypassed the U.S. dollar and are trading oil directly in Chinese currency. 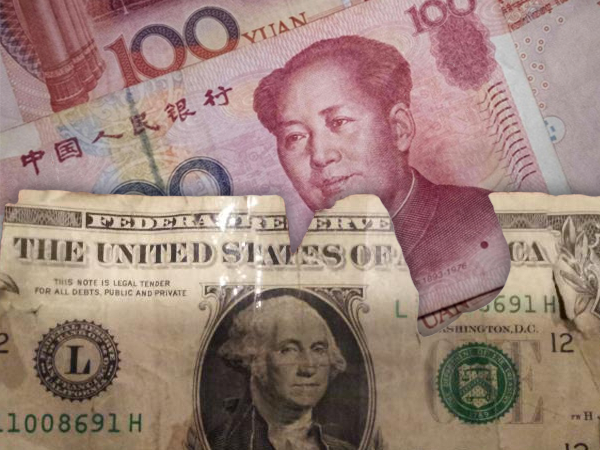 Now that the yuan is backed by gold and petroyuan futures contracts are trading in the open market, other countries will have no problem switching from the dollar to the yuan to purchase oil. And unfortunately, there is very little the U.S. can do about it. The last two points are significant. Regarding the timing of China’s new oil futures contract, Agora Financial’s 5-Minute Forecast says it’s not a coincidence. The timing is no accident: Because “fracking” and other technology have turbocharged U.S. oil production, China surpassed the United States last year as the world’s biggest importer of crude. Granted, that won’t happen tomorrow or next week. But the pieces are in place. Last fall, Jim Rickards called it the first step toward “a new international monetary order that does not involve dollars.” Russia and Iran will be especially interested in such an arrangement in the face of U.S. sanctions. Since China has surpassed the U.S. as the biggest importer of crude oil, they now have the leverage to dictate their own terms. And their terms require that they be able to purchase oil with their own currency. Can the U.S. retaliate? Not really. It’s one thing to bomb Iraq for attempting to abandon the petrodollar; it’s another to bomb China for the same reason. Any retaliation — financial or otherwise — would only further damage the U.S. and its interests. This means China is essentially free to negotiate deals with other countries without fear of reprisals. For more than 40 years, Washington has ruled the global monetary roost by propping up Middle East dictators in exchange for those dictators pricing their oil in dollars. That system is slowly coming to an end. Economic and financial shock waves are sure to follow. In other words, U.S. deficit spending will not be sustainable without the petrodollar. This could mean some serious financial pain as the U.S. is forced to dramatically reduce government spending over the next few years. At the same time, this has created an intriguing opportunity for gold owners as the metal is finally being reintroduced to the global monetary system via the petroyuan. This change is expected to increase both awareness and demand for gold – offering a promising future for the yellow metal.